The comfort of the bed was nice. The staff was friendly. Bed somewhat comfortable and thank goodness the sheets appeared to have been changed. Location and staff were great. We complained about the cleanliness and they were very apologetic and refunded our stay. The Desk Clerk was nice,attempted to address an issue.... Moved me to a new room...see explanation below. Great value for thus area. Staff extra helpful and friendly. 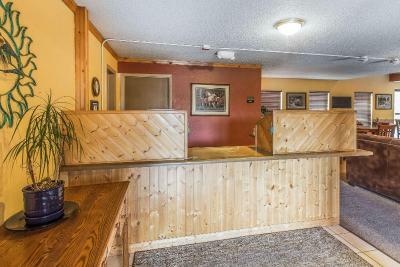 Hotel is pet friendly and has a very intimate, friendly feel about it. Washer and dryer a life-saver! Restaurants and Wal-Mart nearby. Great place to overnight, clean-up, and recharge between camping excursions. There breakfast was not very much but pastries were goid. King room was very spacious with a couch, coffee table, microwave and large refrigerator. Bed was super comfy. This is the kind of room you want if you are staying for any length of time. Located right off the highway and easy to find. Two fast food joints and two convenience stores right across the street. staff was friendly, linens and room in general clean except musty smell. no eggs bed was very standard - the ac was extremely loud and annoying - we had to turn it off to sleep and the room became very warm. The breakfast burrito was delicious! Bathroom was clean and linens were clean. 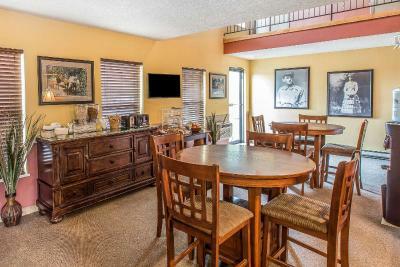 Rodeway Inn Rifle This rating is a reflection of how the property compares to the industry standard when it comes to price, facilities and services available. It's based on a self-evaluation by the property. Use this rating to help choose your stay! 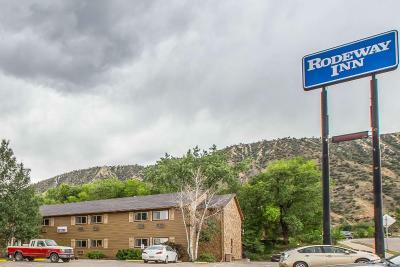 The pet-friendly Rodeway Inn in picturesque Rifle, CO, is nestled at the base of the Bookcliffs, named for lines of sediment and shale that resemble the pages of a book. 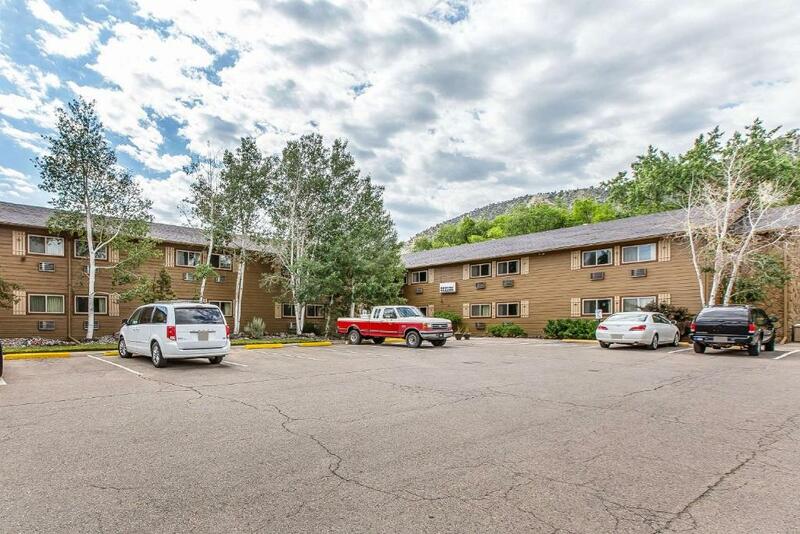 We are conveniently located off of I-70 at Exit 90 in the heart of the growing Rifle, Colorado commercial area, putting guests close to businesses like Antero Resources, C.O.G.A. En Cana Oil and Gas and EnerCrest, as well as a variety of attractions, including Rifle Creek Museum, Garfield County Fairgrounds and Ruby River Ranch. Endless recreational opportunities include hunting for elk and deer, fishing, camping, horseback riding, hiking, and mountain biking. 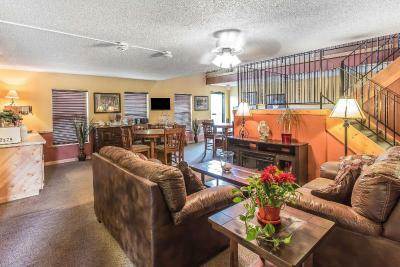 The Rodeway Inn hotel is within walking distance to restaurants, fast food, and shopping. 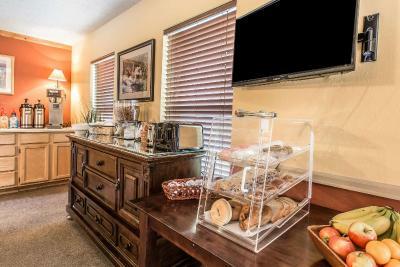 All guest rooms offer a mountain view and free wireless high-speed Internet access. 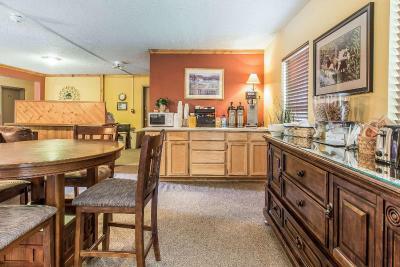 Some rooms offer a coffee maker, desk, kitchen facilities, sofa sleeper, microwave and refrigerator. 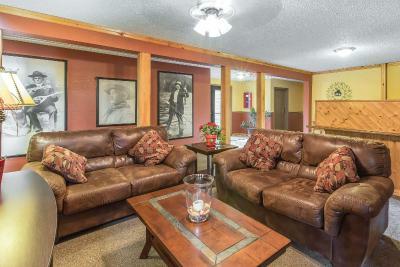 When would you like to stay at Rodeway Inn Rifle? 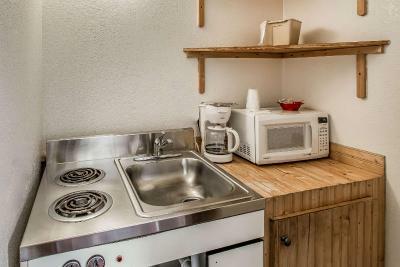 This triple room features a microwave. House Rules Rodeway Inn Rifle takes special requests – add in the next step! Rodeway Inn Rifle accepts these cards and reserves the right to temporarily hold an amount prior to arrival. Please note that cash cannot be accepted at this property as a valid form of payment. Credit cards are charged the day of arrival. Contact the property for more information. Please note that dogs are the only pets allowed at the property and any pet is subject to the discretion the management at the property. Only 2 pets with a maximum weight of 30 lbs are allowed and there is an additional fee per pet, per night. Dogs must be attended at all times. Contact the property for more information. The bedding was washed with a strong smelling detergent which causes asthma issues. The room was filthy. The carpeting was very stained. The bedding was dingy. The bathroom floor and fixtures were t clean. Overall very disappointing. It can be old and still clean. This was just dirty. The night attends were grumpy and rude. The morning staff was very nice. Filthy...disgusting...disinterested staff...no housekeeping during 4 night stay...hall carpets must have 20 years worth of stains and lack of vacuuming...continental bkfst was a joke as well as unappetizing to look at. Pay more to stay somewhere else if you have to. Blecch!!! The room was dirty. Crumbs on the carpet, crumbs in the sheets of the made beds, particles of dirt on the bathroom floor and I picked up the two pieces of soap wrapper. And the tub had a ring around it as well as a bandaid sticker. The whole unit was stocked but not cleaned. The property manager was friendly and efficient. My family and I recently stayed here for a few nights while in town visiting grandma. The place has a strong cleaner smell but definitly not from the cleanliness of the facility. Overall, a run down, old building that's in dire need of a facelift. The carpets were all stained, walls were filthy, bedding a little sketchy and just sort of a trashy feel. The location was great but price for what you get is ridiculous! We paid $99 a night for a three bed "suite". 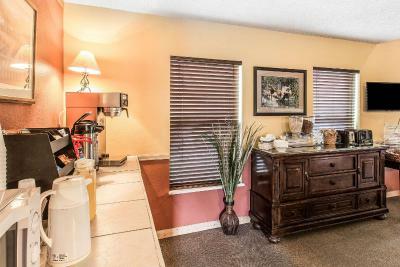 Said "suite" provided no kitchen utensils (plates, silverware, cookware, soap, dish cloths etc.) Not sure how you would even take advantage of any of the kitchen appliances without any of this?? The free breakfast included nasty coffee with community powdered creamer, bread that you could toast with a 1950's toaster, also with a community tub of butter, a few freezer burnt eggo waffles left out to toast if wanted, again a community syrup, and two choices of stale cereal with milk that was stuck in a metal tub that may or may have not once had ice in it to keep the milk cold. I thinking the "manager" lives on site in a room behind the front desk with her three dogs?? I was told the place is getting ready for renovation but without a complete teardown, im not sure anything would help this place?? The Desk Clerk was nice,attempted to address an issue.... moved me from the first room that was absolutely filthy and cold . The 2nd room though better, was also dirty...by that time I was to tired to care. This was about the worst stay I have had at Rodway Inns. The room was small the sofa was unusable because it was a hidabed without any support to set on no in room coffee no fridge like in the ads on booking. 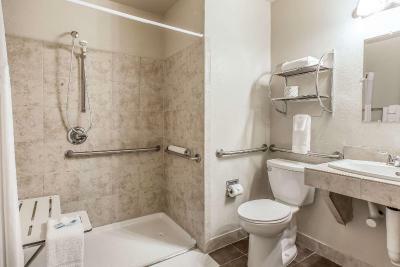 No adjustment on the shower and no vanity space for toletries. The hallways were very dark and soiled carpet, no outside light at the door. Will not recommend this property to stay in Rifle. The hall carpeting was very spotted. Breakfast was limited. Stained carpet, ice machine was on second floor. No protein for breakfast. 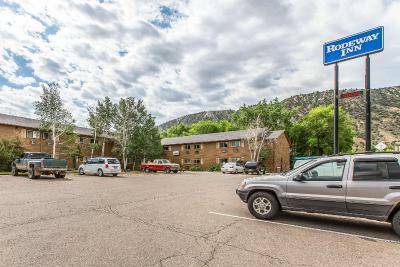 Stayed in Colorado Springs for $79.00 and included swimming pool, boiled eggs, and waffle maker plus similar items your hotel had for breakfast. Toilet lid came off toilet was not fixed the second day we stayed. There is an odd odder but it was not over whelming. The location, was quiet, and staff was helpful. A couple of extremely small roaches spotted in our room. No big deal.